Paul Manafort, former campaign manager for Donald Trump, arrives at federal court in Washington, D.C., in June. The former campaign consultant to President Trump is already facing up to 24 years in prison for conviction on tax and bank fraud in Virginia. Now a judge in Washington, D.C., will decide how much time Manafort should serve after he pleaded guilty last year to charges of conspiracy against the United States and conspiracy to obstruct justice. As NPR's Carrie Johnson has reported, that plea encompassed a range of illegal activity including "avoiding taxes, lying to the Justice Department, [and] failing to register his lobbying work for a political party in Ukraine. And then there's the witness tampering after Manafort was already indicted." Manafort faces up to five years for each of the two counts of conspiracy. In a sentencing memo to the judge, Manafort's attorneys asked for leniency. They said he has only committed low-level crimes, for which he has already paid considerable penance. "Manafort has been punished substantially, including the forfeiture of most of his assets," his attorneys wrote. "In light of his age and health concerns, a significant additional period of incarceration will likely amount to a life sentence for a first time offender." Manafort will turn 70 on April 1. Prosecutors for special counsel Robert Mueller last week told Judge Amy Berman Jackson, of the U.S. District Court for the District of Columbia, that Manafort "brazenly violated the law" when he chose repeatedly to commit tax fraud, launder money and violate the Foreign Agents Registration Act by not documenting which foreign party he was working with and how much he was earning. 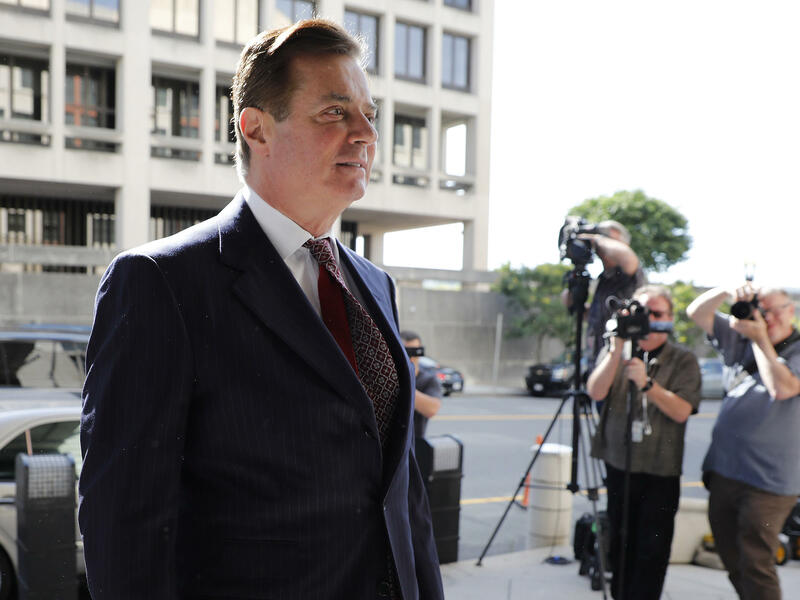 But Manafort's attorneys argued that he had been caught up in the highly politicized environment surrounding possible ties between Trump and Russia. Attorneys emphasized there was no evidence that Manafort was involved in any collusion with Russia. At its core, they said, this is a "mundane" case about someone who didn't properly document his income. "The Special Counsel's attempt to portray him as a lifelong and irredeemable felon is beyond the pale and grossly overstates the facts before this Court," Manafort's attorneys wrote. Because Manafort was found guilty last year of tax fraud in Virginia, one question before the court now is whether his sentence in D.C. should run at the same time as the Virginia sentence, or consecutively. Federal guidelines mandate that Virginia's sentence must be between 19 and 24 years. A consecutive sentence imposed by the D.C. judge could extend that by another 10 years. Defense attorneys say that sentence would be unfair and unnecessary. "The prosecutions brought against Mr. Manafort have devastated him personally, professionally, and financially. The charges and intense negative media coverage surrounding them have destroyed his career," they wrote. Attorneys also noted Manafort's physical deterioration since his incarceration. "Although Mr. Manafort downplays his physical health challenges for his family and friends, the reality is he is not the relatively healthy man he was prior to his incarceration." His attorneys added: "There is no reason to believe that a sentence of years in prison is necessary to prevent him from committing further crimes." According to Politico, both of Manafort's prison sentences will be set next month. Judge T.S. Ellis III of the U.S. District Court for the Eastern District of Virginia is scheduled to sentence Manafort next week; Jackson will sentence him on March 13.